Coutume takes their coffee very seriously. Beans are roasted onsite by co-founder and master torréfacteur (roaster) Antoine Netien, who was named Best Roaster in France. Pick your method: a Japanese siphon, a steam-punk cold drip machine that produces exceptional coffee in 24-hours, and the first Strada Marzocco espresso machine in Paris. "For the welcoming feeling and awesome coffee. For true coffee lovers and the best latte in town." Coffee shop and cafe near the Canal Saint-Martin. In the morning, they serve homey breakfast foods with house-made jams and fresh breads. You can order pancakes topped with eggs, granola or pain des amis along with a cappuccino, espresso, latte, filter coffee or flat white. During the day, you can get pastries, sandwiches, soups and eggs, along with a beer or glass of wine. Closed in August. "A stroll around Parc de Buttes Chaumont then Holybelly for brunch." Breakfast (as well as lunch) spot with American deli foods like bacon, egg on an English muffin, pulled pork sandwich, pastrami on rye, hot dogs, lobster rolls and Brooklyn beers. "This is owned by Frenchie chef Gregory Marchand. He is colonizing the street with his restaurant, wine bar and this take out place." How to win friends and influence people? Bring them back delicious Pierre Hermé macarons. 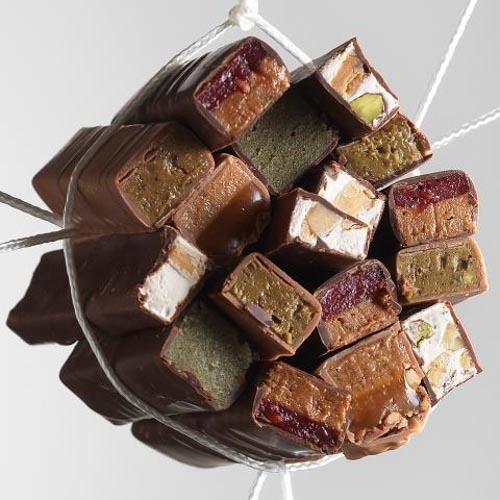 Double layers of almond meringue filled with flavors like Chuao (dark chocolate and blackcurrant), Medelice (lemon and hazelnut praline), Coing (quince), and Magnifique (strawberry and wasabi). They also have frou-frou tarts, cakes, feuilles, and award-winning croissants. "He has a delicious Rhum Baba and Vanilla pie. I like to share these pastries with my family during Sunday lunch. His pastries are sweet, smart, and well thought out." "It's a beautiful shop, intimate and beautifully displayed pastries. I visited as often as I could while working in Paris at Guy Savoy." "I come here for the croissant, an assortment of individual pastries and macaron - but mostly to marvel at the consistency in production year after year." Le Comptoir | Photo Credit: Find. Eat. Drink. This small and casual bistro from Yves Camdeborde is on everyone's radar, so booking in advance is recommended. However, they don't take reservations for lunch, so it's a good time try your luck at scoring a table. "I love the fact that it’s casual, elegant. You really feel like you are in Paris, in the middle of Saint Germain, which is a cool neighborhood obviously. Then the food is really good. It’s not a surprise because the guy is talented, but when you get the food you think - Whoa! What is that? Hold on!" "For pig trotters and Foie Gras Salad." "It's really hard to get a reservation, but one isn’t needed at lunch, so that’s a good time to try it out." "For a glass of wine with sandwiches of my bread with pâtés and cheeses." Tartine at La Cusine de Bar | Photo Credit: Find. Eat. Drink. Casual cafe for Tartines, which are open-faced sandwiches. They are made with Poilâne breads (the bakery is next door). They also serve salads and soups. If you hit the busy hour, expect a line out the door for a table. If needed, they have free WiFi. "For open-faced sandwiches at lunch." Racines | Photo Credit: Find. Eat. Drink. Located in the 19th-century Passage des Panoramas, which is Paris' oldest covered passageway. This is the kind of charming place you hope to discover in Paris. It's like stepping into an Edouard Manet painting. Eat organic foods and drink natural wines. Now owned by David Lahner after Pierre Jancou moved on. "The ingredients they use are amazing. I love the simplicity of how they come out with the chalk board and put it on your table. They only have a few choices for appetizer, two mains, some cheese and two desserts. The wine list they just sell orally. There is no pretension. It’s small with lots of character." "The original Racines is such a beautiful and small space. The food is always delicious -- simple and well prepared with fabulous ingredients. The chicken is sensational and it’s always a great wine list. It’s nice to have the difficult choice of which great bottle to pick. The idea of the farm-sourced ingredients goes so well with the natural wines." Famous sourdough breads at Poilâne | Photo Credit: Find. Eat. Drink. If man were to live on bread alone, he’d want it made from Poilâne bakery. Poilâne breads are one of the most sought-after loaves in the world. Thick, with a golden crust, slightly sour flavor and marked with their signature 'P' on top. Poilâne bakes 15,000 loaves a day and ships to more than 20 countries around the world. "If you want to try the ultimate bread this is what it is. The sourdough is just amazing. The texture of the crust and the texture of the inside and the sourness. They use Fleur de Sel in the bread so you really get a nice saltiness. They also make Punitions, which are the little butter cookies. They have apple turnovers that are amazing and fruit loaves. This is the original location with the ovens downstairs, it's the tradition of the place, yet mondernized." If you are in the mood for something sweet after walking around the Marais (and possibly after a falafel sandwich around the corner at L'As du Fallafel) pop in for some gelato. "Best gelato I’ve ever had. Period. Maybe the best espresso as well and that’s saying a lot. After an exhausting shop at BHV or a visit to the Picasso Museum, this Marais shop is worth the wait." 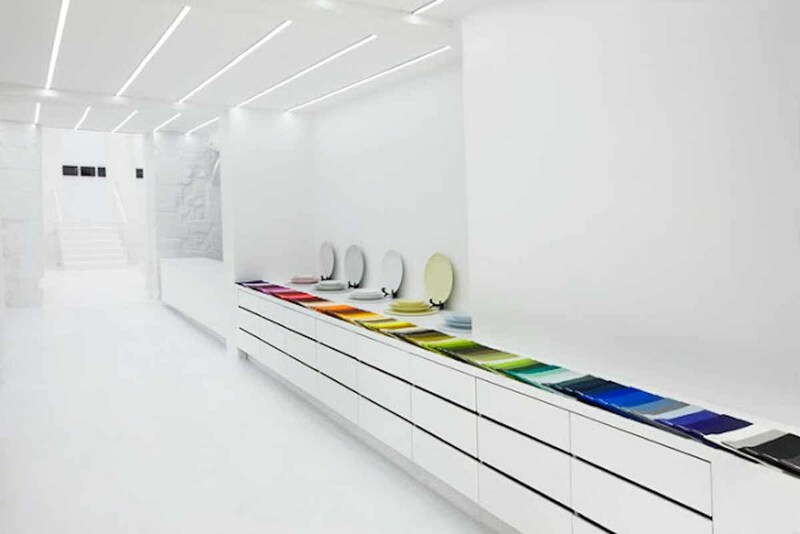 All white minimalist boutique with the only color being Muriel Grateau's linens and plates artfully displayed. It looks more like a contemporary gallery than a housewares store. Opened in 1968, with over 1200 things to choose from. From single malt to Japanese to Irish to Brenton whiskies. "I love to come here to shop since they have fair amount of different alcohols." "One of my favorite shops to find spirits." "I know many liquor shops in Paris, but I like this one in particular. They have been specializing in whiskey since 1956." The second oldest wine shop in Paris that has been open since 1850. Known for stocking many natural wines. "The most well known wine shop in Paris for things that leans towards the natural end of the spectrum." "It’s kind of an institution; you can’t skip it. It’s one of the best cavistes in Paris." "This is such a great cheese shop." Gourmet food shop that offers homemade foie gras, made by the Divay brothers, Jean-Pierre and Philippe. They also sell smoked salmon, caviar and choucroute (sauerkraut), and andouillette (pork sausage made from the intestines). "I love this shop that specializes in foie gras. They also have traditional French choucroute, which is an Alsatian dish." Located in the Palais de Tokyo contemporary art museum. French architect Joseph Dirand created a highly stylized space with emerald green velvet Saarinen chairs and pea green velvet banquettes, plus vintage Lalique glass panels and marble and oak floors. Sit outside for a view of the Eiffel Tower. "This restaurants has views of the Eiffel Tower and the Trocadero. The food is great, but you’ll be taken with the view." Go for the history and stay for the cocktail. Le Bar is on the ground floor of this legendary hotel where many famous celebs have sipped a cocktail and stayed the night - everyone from Salvador Dali to Frank Sinatra. "The bar here is great. It's also where Oscar Wilde died." "Historic hotel and bartenders who makes their own twists on the classics." Willi's Wine Bar | Photo Credit: Find. Eat. Drink. For the past thirty-plus years, Willi’s Wine Bar has a been a destination for everyone from the oenophile to the novice. Their Bottle Art posters have become collector’s items. Elegant 1930s facade, polished oak bar and a strong wine list. "Over 250 wines on the list with great specials. Every year they commission a contemporary artist to create an image for their limited edition collection, these are often whimsical and are prominent throughout the dining room; gorgeous polished oak bar." Chef William Ledeuil trained with superstar chef Guy Savoy before opening his own place. Inventive cooking in a loft space which lends itself to showcasing the open kitchen and the art displays. "For fusion food. The chef is French and does an amazing job at integrating Asian flavors." "It’s on a lot of people's lists, but there are really no secrets in Paris when it comes to this type of cooking. Paul Bert is quintessential French Bistrot which means it's good, fun, but a bit rough around the edges." "Solid, satisfying bistrot food with a great wine list. A reliable place that’s always worth going back to." First opened in 1931 by a Basque nationalist. Chef Stéphane Jego has kept the original traditional feel, but modernized the menu. "Chef Stephane Jego is amazing. Filling food, an extraordinary culinary team, and overwhelming generosity." "The food here is very creative. 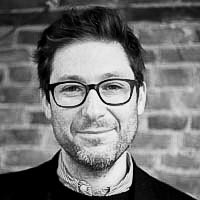 Stéphane Jégo is one of the best chefs in Paris. It’s a bistro where you eat until you die. You sit down for lunch at 12 and you finish at 4pm. It is Southwestern cuisine and very French. He does one of the best dishes I’ve ever had. It’s a foie gras, but it is a whole roasted foie gras en concotte. Amazing dish. You eat that and you can’t eat anything else." 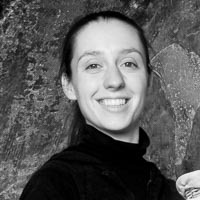 "They have a really exciting wine list with random stuff that you usually don’t get in the US, same goes for Le Verre Volé." Come for a glass of wine and their well-made charcuterie, served on dark-crusted slices of pain Poilâne. "For tete d’veau or pigs trotters." Wine bar and cafe from the crew behind Au Passage and named after co-owner Loic Martin, the former bartender there. Cocktails and small plate dishes until late in the night. "A laid-back café on a busy boulevard serving affordable drinks and fantastic tiny snacks." Executive chef and owner of Spring in Paris. Executive chef and co-owner of Michel Rostang Restaurant Group in Paris. 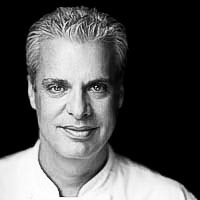 Executive chef and co-owner of Le Bernardin in New York. Head Bartender at Bar 228 at Le Meurice in Paris. 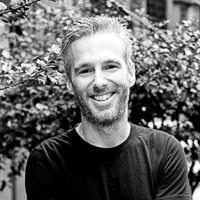 Sommelier and co-owner of Estela in New York. Executive chef and co-owner of A.O.C., Lucques, Tavern in Los Angeles. 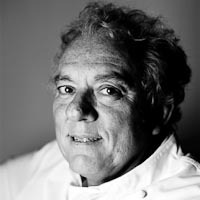 Executive chef and co-owner of Gary Danko in San Francisco. 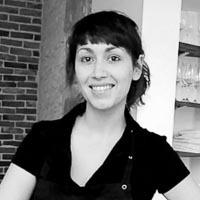 Pastry chef and owner of Miette Cakes in San Francisco. Mezcal producer and owner of Del Maguey. Visit these beloved classic restaurants, shops, cafes, farmers markets and bars. Chef Raphael François of Le Cirque on his six favorite eating spots in Paris. A chef and sommelier's eating guide.